Extensive diagnostics are required before each treatment. It forms the basis of precise and individual treatment planning. The Dinslaken dental clinic at the Evangelical hospital has modern equipment with devices and methods that are the latest available. We exclusively use digital technology for x-rays. Through computer-aided x-rays, even tiny details can be depicted that would be difficult to recognise with certainty using analogue procedures. The digital recordings don’t have to be developed but rather are immediately transferred to the monitor where they can be enlarged at will. Even, for example, the smallest inflammations and the frequently very fine and widely branched root canals in the molar area can be recognised with ease. For the patient, digital x-rays are also much more gentle than the conventional technique, as significantly less radiation is generated. The files can quickly and easily be sent electronically or burned onto a CD as needed, so there are no unnecessarily multiple x-rays. Last but not least digital x-rays are also much more environmentally friendly as they do not require either PVC films or x-ray chemicals. Particularly when the initial situation is a difficult one (e.g. the amount of jawbone available is too small), we ensure optimal safety in the field of implant planning through three-dimensional procedures. In order to do this, layered x-rays of the jaw are created in the CT or DVT. The patient puts a special drill template in their mouth with markings that can be seen on the CT or DVT scans. The data are first read by the computer and then prepared using special software. This creates a three-dimensional image of the condition of the teeth and jaw, showing the height and density of the bone, nerve pathways etc. Before the implant, an individual template with drill sleeves is created on the basis of these data. This is fixed into the jaw before the operation. This ensures that the boring for the artificial tooth roots is at precisely the right angle at the right depth and is therefore carried out in a highly precise manner that conserves tissue. It is not always possible to see whether a tooth is affected by caries or not with the naked eye. However, modern laser technology can be used to detect even the smallest carious changed in a safe, gentle manner. In laser-assisted caries diagnosis, the teeth are radiated with a laser beam at a certain wavelength and therefore stimulated to fluoridate. A tooth that has been attacked by bacteria will fluoridate differently at the carious areas to the health areas. In addition to this, an acoustic signal also indicates bacterial changes. Possible caries can therefore be localised and removed at a very early stage with maximum conservation of the health tooth substance. Diagnosing caries using a laser is entirely pain-free and easy for the patient. Oral surgery includes all surgery in the region of the oral cavity, such as the removal of wisdom teeth, root tip resection, jaw restructuring (known as controlled tissue regeneration) and the removal of cysts. Our therapists have many years of experience in this field and high levels of surgical skill. All measures are carried out following an extensive consultation and a detailed explanatory discussion during which you can ask any questions you may have. The use of minimally invasive techniques and comprehensive medical care help to minimise the possible postoperative symptoms. These treatments are generally carried out under local anaesthetic and are therefore pain-free. On request or in the case of extensive procedures (e.g. the removal of several wisdom teeth), however, treatment under general anaesthetic is also possible. Often more than just dentistry is needed for treatment. For example, the fields of periodontology, implantology, prosthetics and aesthetic dental medicine overlap. They are often used in parallel or consecutively. In these cases, it is significantly more comfortable and pleasant for patients not to have to go to various practices for the necessary treatments but rather to have all of the treatment options under one roof. Patients at the Dinslaken dental clinic at the Evangelical hospital benefit from the experience and skill of the treatment providers. Clinic Director Profesor Invitado (Univ. Sevilla) Dr Winand Olivier, MSc. was certified in the field of “dental and oral implantology” (DGI, DGZMK, APW) in 2000. In 2002, he received certification and a qualification in the field of “tooth maintenance” from the North Rhine Dentists’ Association and in 2004 he received certification and a qualification in the field of “aesthetic dentistry” (ESED, ESCD). As a specialist in oral surgery, Dr Ralph-Ansgar Strässer has specialised in the fields of implantology and jaw reconstruction surgery since 2000. The fact that the practice has its own dental laboratory in-house ensures short pathways to the creation of high quality dentures for patients and close collaboration between dentistry and dental technology. Maintaining natural teeth is better than even the most perfect dentures. One possibility for tooth maintenance is a root filling. Using conventional methods, it is often not possible to remove all of the bacteria from the mostly very highly branched root canals. Then short or long instances of inflammation may occur, and the tooth ultimately has to be removed anyway. Depending on the initial situation, what are known as endodontic root treatments may be necessary (endodontics = teaching from inside the tooth). Treatment of this type is highly time-consuming and requires a significant degree of experience on the part of the therapist and special tools. The preparation of the root canals is not carried out by hand but rather using small, flexible, electronically controlled titanium files, which reach even the highly curved sections of the root canal. A strong magnifying glass is used to be able to recognise even the smallest details. 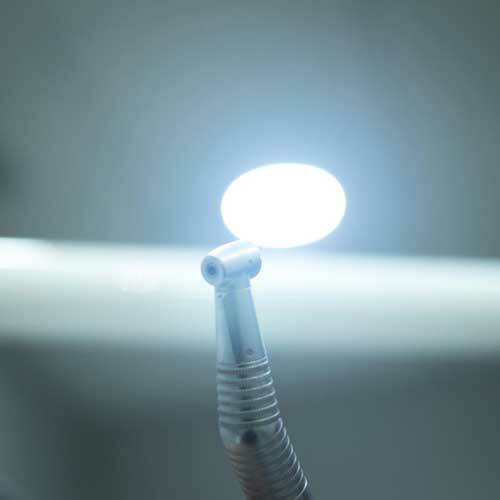 The subsequent use of the laser means even the smallest remaining quantities of bacteria can be removed, so subsequently the conditions are virtually sterile. The canals are then well sealed with natural material such as gutta-percha in order to permanently prevent the further penetration of bacteria. In most cases, your natural teeth can be maintained in this way without there being any damage caused to your body. Inflammatory diseases of the periodontal apparatus (periodontitis) cause more teeth to be lost than the feared caries. If the disease remains untreated, in addition to tooth loss it can also lead to damage to the health which increases the risk of heart diseases and stroke. Prompt prophylaxis and starting treatment very early therefore not only serve to maintain the teeth but also protect health. Along with plaque bacteria, other joint causes of the development of periodontitis include stress, diet, nicotine consumption, general diseases (diabetes, cardiovascular diseases), hormonal changes (pregnancy, menopause) and hereditary factors. We therefore feel it is hugely important to research the cause before treatment. Various processes are used, including microbiological test procedures. On the basis of these, we plan the individual treatment. Using the tools of modern dentistry, periodontitist treatment nowadays is very general and often possible without surgery. The layer known as the biofilm which contains the bacteria is removed from the gingival pockets in a gentle manner. 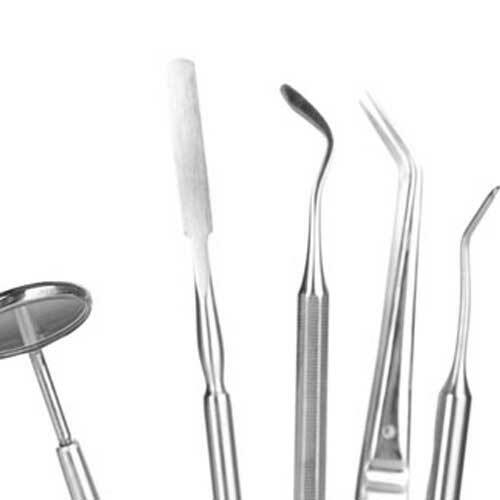 Special small tools are used to smooth the roots of the teeth. The smooth surface this generates is much more difficult for the bacteria to stick to. This therefore effectively gives the gums a “deep clean”. The laser is then used to ensure that even the smallest bacterial residues are also removed from the gingival pockets. This increases the safety of the treatment considerably. If the periodontitis is already very advanced, surgery is often needed. Thanks to modern processes, this too is very gentle and can be carried out with a short, pain-free healing phase. The healthy tissue is left and the damaged tissue is regenerated, restoring a stable condition to the periodontal apparatus. Follow-up care is a key part of maintenance treatment. Regular check-ups and professional teeth cleaning are essential. The requirements of perfect dentures are manifold. They must be cosmetically and aesthetically inconspicuous, functionally and technically optimal, long-lasting but also biocompatible. Each set of dentures is made to measure individually for each patient. In addition to the findings and the initial situation, other important factors also need to be clarified for the diverse prosthetic options, regardless of whether the dentures will be fixed or removable. This includes the selection of the material, the aesthetic and cosmetic ideas, the patient’s preferences and the tolerance. Together with our patients, we plan prosthetic care which meets both the technical requirements and their personal wishes. This is achieved, among other ways, using a clinical photo analysis enabling the patient’s wishes to be including in the treatment planning in as optimal a manner as possible. In addition to this, the patient can get an idea of what it will look like by means of an individual wax-up before the final manufacture of the dentures, and can have an input on the aesthetic design. In order to do this, a plaster model is first created in the dental laboratory on which the desired functional and aesthetic care is modelled using a special wax. The colour of crowns, bridges and veneers is determined using diaphanoscopy. This modern method ensures that the colour of the denture fits as well as possible into the overall picture and looks as natural as the patient’s own teeth. Using modern, high-performance ceramic crowns and bridges can be manufactured entirely without metal. 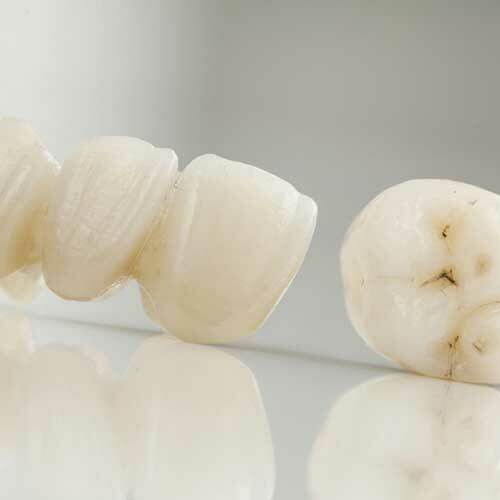 Even large bridges in the posterior area and implant structures can be manufactured from this material. 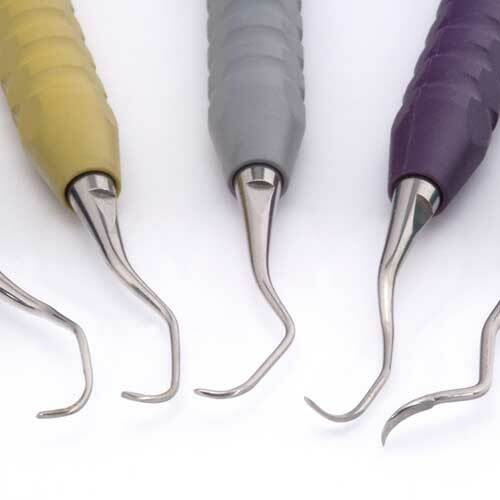 Ceramic is not only hugely resistant to breaking, it is also entirely biocompatible. Since allergies and electrochemical reactions can be ruled out, the material is also an excellent alternative to metal products for those with allergies or electrical sensitivity. Our high-tech dental laboratory works with the latest technology such as CAD/CAM so your dentures are manufactured with a custom fit. 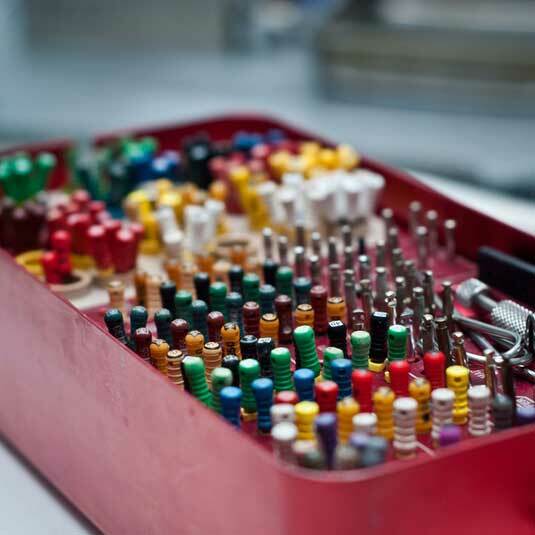 Since both the laboratory and the dental technicians are in-house, patients do not have to make any additional efforts to choose the colour of the teeth or try the dentures on. Clean teeth that are well looked after ensure an aesthetic appearance and convey both a positive feeling towards life and self-confidence. Regular prophylaxis appointments (professional teeth cleaning) prepare the way for permanently beautiful, healthy teeth. In the dental clinic at the Evangelical hospital in Dinslaken, specially trained employees carry out a professional cleaning procedure on your teeth with care and dedication. Using modern devices, teeth and interdental specials are cleaned even in the places you can’t reach yourself when you’re cleaning your teeth at home. This removes harmful bacteria in an effective way, so periodontitis and caries have virtually no chance. Discolouration can also be removed quickly and gently using a special powder spray device. 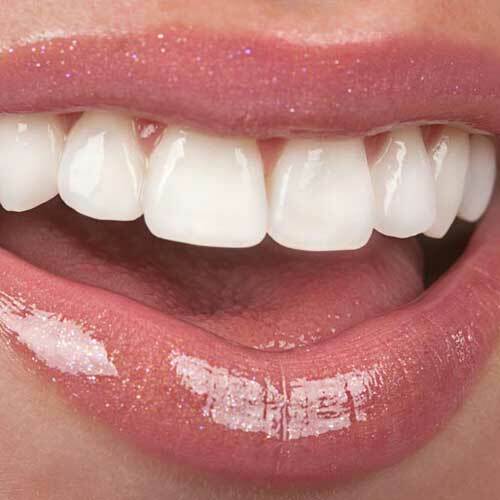 The final polish ensures a radiant smile and smooth surfaces on your teeth. With squeaky clean and health teeth, you can laugh more beautifully and more easily. The frequency with which individual prophylaxis of this type is required varies from individual to individual. We would be happy to advise you. We are also happy to remind you of your next prophylaxis appointment automatically and in good time using our recall system. Each year, life expectancy in Germany increases by three months. Becoming older provides the opportunity for some “golden years”. It is almost inevitable, however, that your more mature years will bring with them teeth and gum diseases that can have an impact on your general health. For example, there is a demonstrable close link between periodontitis and diabetes. Tests were also able to show a link between diseases of the stomach and the condition of the teeth. Against this background, the lifelong maintenance of functionality in the chewing apparatus is therefore in no way merely important for aesthetic reasons. If you have functional teeth in later life you will also be preventing general diseases and symptoms of deficiency and ensuring an increase in quality of life. In the dental clinic at the Evangelical hospital in Dinslaken, providing advice and treatment to older patients is particularly important. 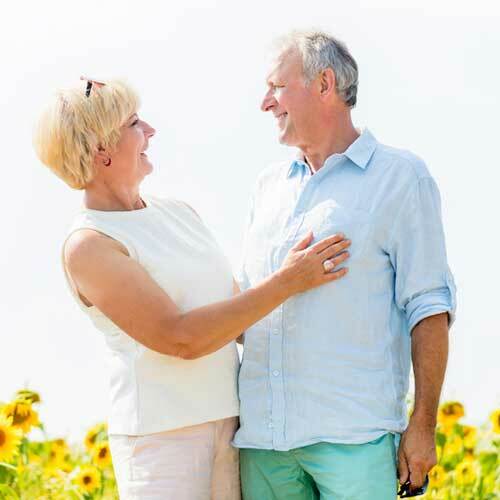 It is not uncommon for total oral renovation with dentures that are easy to handle and to maintain and can be prepared in just a few sessions to be required for health reasons. The fact that our high-tech dental laboratory is in-house also means that there are no additional steps. The direct connection to the hospital and surgical department with its own ward are advantages that are appreciated in particular by our older patients. Our clinic is fully accessible. Treatment is therefore not a problem even for people with impaired mobility. The foundations for lifelong healthy teeth are laid in early childhood. This is when a child first comes into contact with the dentist. If the experience can be made as pleasant as possible for the young patient, fear of the dentist will be avoided from the start. Our aim is for the child to associate his visits to us with positive experiences and not with anxiety or stress. In precisely the same way as adults, children are also entitled to receive optimal medical treatment based on the latest scientific knowledge. In addition to creating an atmosphere that engenders trust, this also includes taking a lot of time to introduce the child to the topic of prevention and dental treatment in a playful manner. With our concept, we not only want to achieve optimal oral health but also maintain it for life. An anxiety-free relationship with the dental practice from a young age will continue, thereby providing a guarantee of lifelong beautiful, healthy teeth. If the child comes to us with a smile and is still smiling when he leaves us, we’ve made a significant step in this direction. Very often, diseases of the mandibular joint cause a whole range of orthopaedic, neurological and functional problems. Around 7 in 10 people suffer from chronic head, neck or back pain and therefore a significant restriction in their quality of life without a cause being able to be found. 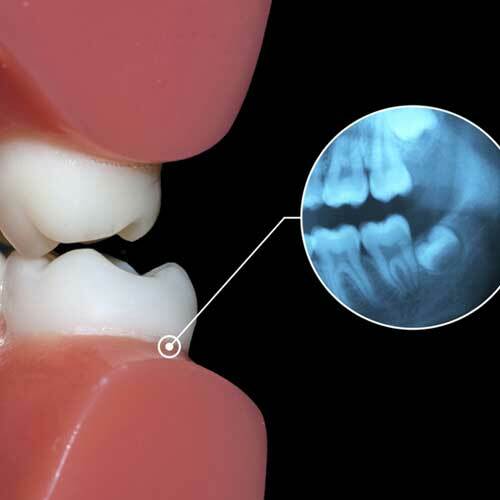 It is not uncommon for the reason for the symptoms to be a disorder of the mandibular joint. From a medical perspective, this is known as CMD (= craniomandibular dysfunction). In an ideal world, the upper and lower jaw, mandibular joint and teeth are all subjected to equal levels of pressure and are balanced. Even the smallest disruptive factors, however, can throw the system out of balance. A disruption to the interaction between the upper and lower jaw can lead to what is known as a malocclusion. As the chewing muscles and spinal muscles are closely interconnected with one another by means of what are known as functional chains, an incorrect biting position could cause increased pressure and an unnatural load on the surrounding muscles. In addition to pain in the head, back and neck, symptoms of CMD also include tinnitus, ear pain, migraines, concentration disorders, restrictions in movement, swallowing problems and teeth grinding. The diagnosis and treatment of CMD is very complex and requires a treatment concept that is carefully tailored. Since this is what is known as a multifactorial action, it is initially necessary to determine which factors are causing the symptoms and the degree to which each individual factor is responsible for the disease. An extensive examination of the muscles and the movement of the jaw and the head joints down to the pelvis form the basis of further treatment. If incorrectly positioned teeth or dentures that are not fitted correctly are the responsible for the CMD, the symptoms can be alleviated or even eliminated by dental or orthodontic treatment. The incorrect positioning of teeth and the jaw is much more than just an aesthetic problem. Corrections are often required for health reasons too. 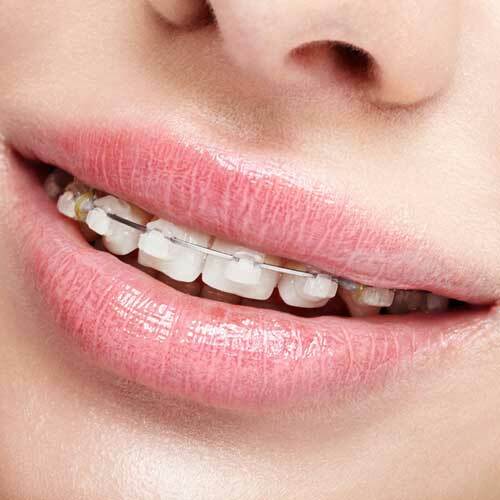 The aim of high-quality, effective orthodontic treatment is to combine aesthetics and health in an optimal manner, thereby enabling a beautiful smile with positioning of the teeth that functions well. Corrections can be made in both adults and younger patients. Teeth can move in the jaw throughout your lifetime, regardless of whether you are 10, 20, 40 or 60. Modern orthodontic treatment is therefore no longer a question of age. Using innovative measures, nowadays the correction of incorrectly positioned teeth and jaws is often even possible in an (almost) invisible manner. This is particularly important for patients who have professional careers and have to spend a lot of time with other people. You will sleep through the treatment and only wake up when it’s all over. The anaesthetic treatment also offers the option for lengthy and extensive full mouth reconstructions to be carried out in just one appointment. It is therefore very popular with patients who have a limited amount of time and a full diary. We work with an experienced team of anaesthetists. The anaesthetist comes to us in the clinic, starts the anaesthetic and monitors it. Thanks to modern anaesthetic practices, taking a long time to wake up and then feeling nauseous is a think of the past. Just a short time after the operation you will be able to leave the clinic again provided you are accompanied.